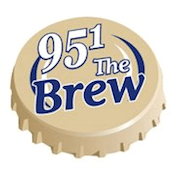 Clear Channel Classic Rock “95.1 The Fox” WFXF Rochester, NY has rebranded as “95.1 The Brew“. Musically the station has shifted to and 80’s based “Next Generation Of Classic Rock” and is currently running jockless outside of Brother Wease in the mornings. The move differentiates WFXF from Entercom’s 96.5 WCMF. In the March PPM’s WCMF’s held a 4.2 share to WFXF’s 3.0.